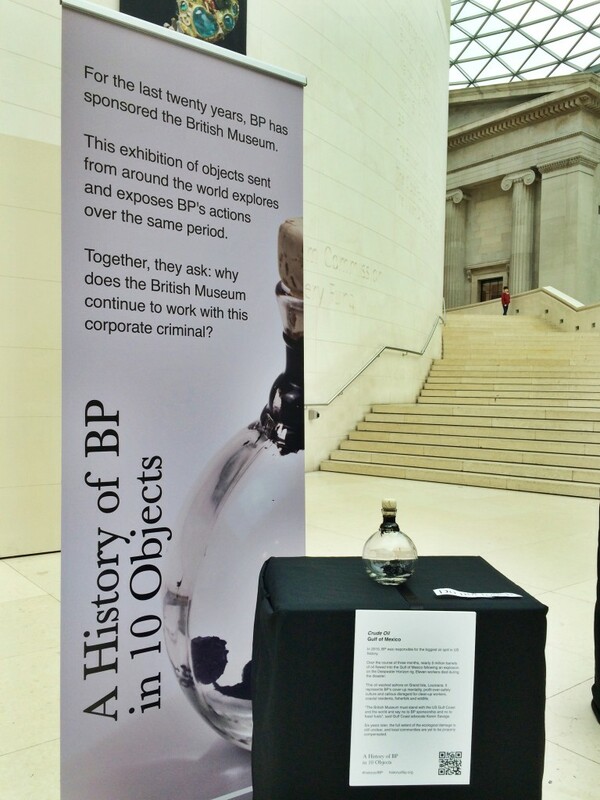 Science Museum drops Shell as sponsor – BP or not BP? Posted on November 12, 2015 by BP or not BP? For interviews contact info@bp-or-not-bp.org and transcripts of Freedom Of Information responses can be found at the end of this blog post. The partnership came under scrutiny earlier this year when BP or not BP? uncovered emails showing that Shell’s staff had attempted to influence the museum’s “Atmosphere” climate science exhibition. Anti-oil-sponsorship campaigners have welcomed the news, but today announced that they would hold a protest inside the museum against the museum’s continuing partnership with BP. Shell was a sponsor of the museum’s “Launchpad” space from 2007-2010 and then became a sponsor of the climate science exhibition, “Atmosphere”, for 2010-2015, in return for just £200,000 per year. This represented roughly 0.25% of the Science Museum’s income in that period. Shell’s emails to the museum asked for a discussion event on climate change to be made “invite-only”, in order to avoid criticism of its operations, and for the wording of some exhibition labels to be altered. On 6th November, the Museums Association approved a new set of ethical guidelines at its annual conference, which will require museums and galleries to ensure that sponsors share the institution’s “ethical values”. It follows an escalation of creative protests in recent years at cultural institutions that accept oil sponsorship money. BP currently sponsors the Tate, the British Museum, the National Portrait Gallery and the Royal Opera House as part of a block five-year deal, one that campaigners are pushing to be dropped when it expires in 2017. The PCS Union, which represents workers at many oil-sponsored cultural institutions including the Science Museum, passed a motion in May at their annual conference to formally oppose oil sponsorship.